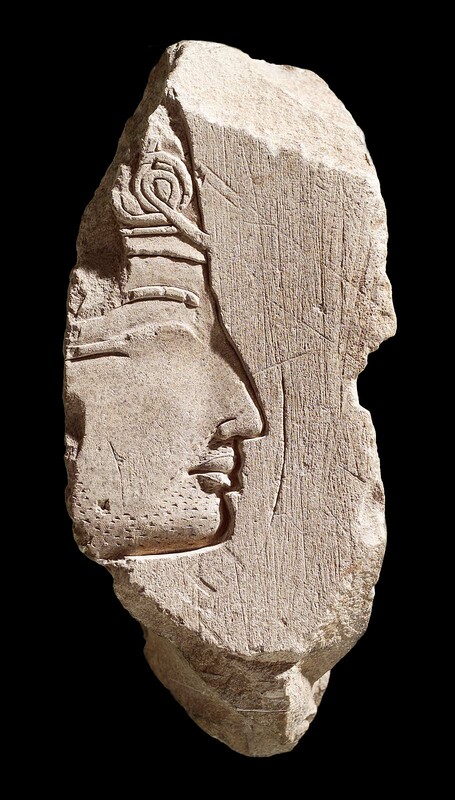 This fragment of a limestone relief preserves part of an unfinished head of a king in sunk relief. The king faces right and wears the blue (khepresh) crown. His features ar characteristic of dynasty 19. A peculiar feature of this relief is the addition of incised indications of beard stubble. *Four objects, 49.1071-1074, purchased as a group for $25.